A great chef must begin with some natural talent — a superior palate, an inventive mind, and the fortitude to work grueling hours — and that talent needs the right environment to flourish. Much like our beef, the mountains of Colorado are the place that made Chef Rob Zack a star. Since August 2012, Zack has been Executive Chef of the historic Hotel Jerome, the Aspen landmark where he began his career as a line cook two decades ago. He’s taken on the task of bringing one of the town’s most iconic dining rooms back to its place as one of the Rocky Mountains’ great culinary destinations. His restaurant, the newly christened Prospect, is the centerpiece of a four-month top-to-bottom renovation of the Jerome. Zack served his first 7X cuts at a special event put on by Auberge Resorts — owners of the Jerome — at Pronghorn Club, a sister property in Bend, Oregon, serving 7X tenderloins with creamed ramps, roasted morels, and peewee potatoes. “I had guests telling me they’d never be able to eat regular beef again,” he says. Zack is a big fan of the 7X ribeye, his favorite cut for personal use, and is working with 7X to get some custom cuts for the menu at Prospect. Look for skirt steak, ground-beef sliders, and — tantalizingly — rotisserie’d whole short ribs on upcoming menus and at special events. Zack’s history with the mountains and hearty mountain cuisine began in Telluride in 1991 — when he arrived with all that natural talent, but a degree in finance — when he joined the opening culinary team at Doral Telluride (now The Peaks) under the tutelage of his mentor, Executive Chef Anthony Sindaco. He followed Sindaco to South Florida to help reopen the famed Ocean Reef Club after Hurricane Andrew, but longed to return to the Rocky Mountains. Zack moved back to Aspen in 1994, where he began his first appointment at the Hotel Jerome as Sous Chef under Executive Chef Todd Slossberg. Immediately prior to the Jerome’s new initiative, he served as the Executive Chef at the Viceroy Hotel in Snowmass, where he opened and oversaw the acclaimed signature restaurant, EightK, as well as the slope-side location, Nest. 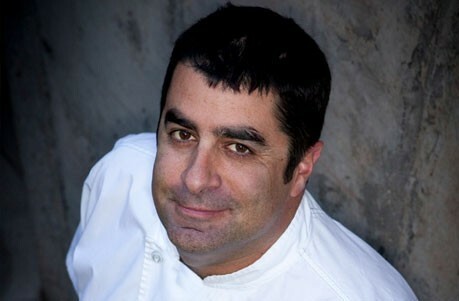 Before that, he was chef-partner at fine-dining restaurant Crave Kitchen in Basalt, Colorado. Zack had been Chef de Cuisine at the Hotel Jerome in 2001, following two years as Executive Chef at Pacifica with highly acclaimed chef George Mahaffey.